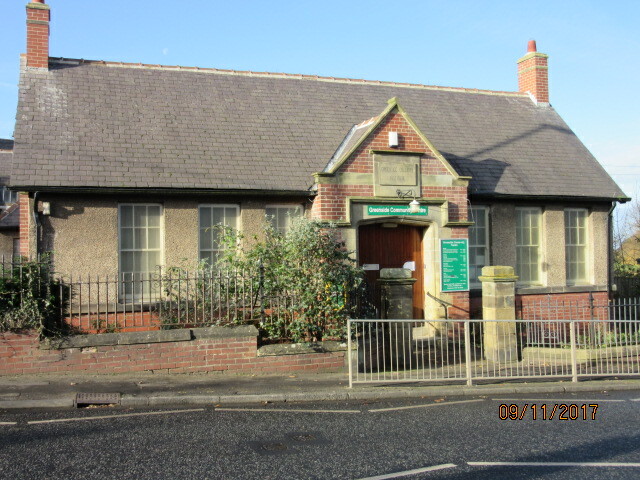 Originally built as the Miners Welfare Hall, Greenside Community Centre has recently been restored with brand new facilities and is available to hire at a reasonable cost. The very large main hall (see photo below) is ideal for children's parties, sport, dancing, ceilidhs, wedding receptions and special events. 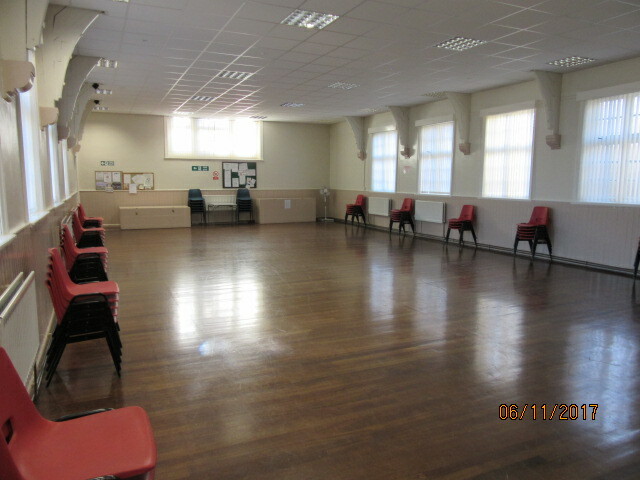 The main hall also features a stage area, and has lots of space for many activities, tables and chairs. Externally we are about to have all of the old pebble dash removed and replaced by a new waterproof durable render. Internally we are at present redecorating and fitting new carpets. We have our own car parking area. 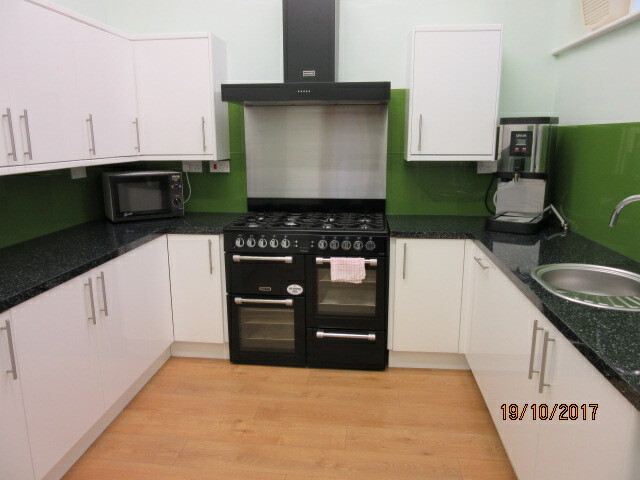 Meeting rooms are available, as well as a smart fully refurbished modern kitchen (see photo below) that has a seven burner hob and double oven, a fridge, water boiler and a dish washer. This makes light work of the catering! 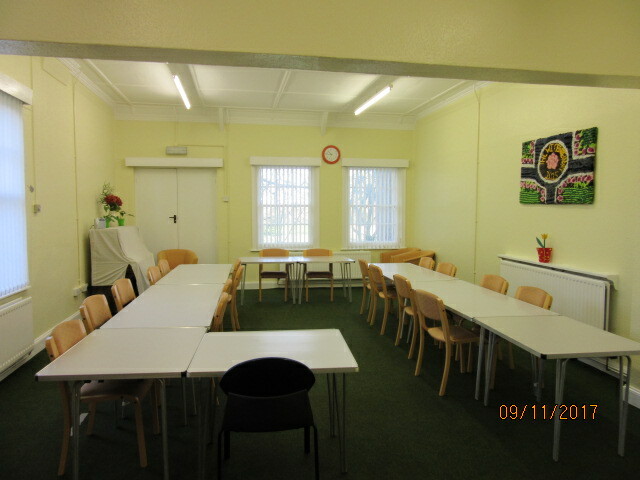 If you wish to make a room booking, please check the Regular Bookings page first.